I was never able to be fully drawn into this book like I was the first two. As much as I wanted Caleb and Livvie to move past their experience and integrate into society, I'm not sure I actually wanted to watch it happen. 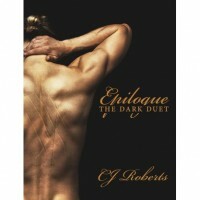 I loved Seduce in the Dark so much and I think it was truly the masterpiece of the series. So of course since I loved the characters so much, I wanted more. Now that I got what I thought I wanted, I'm not so sure. Here's an example of why this book was just 'off' for me. Yeah, that is just one example and the book was full of super cutesy stuff that just didn't really fit with the series. You know what they say about too much of a good thing.